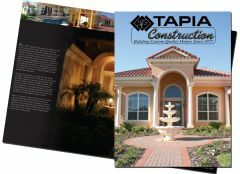 Creative Concept Group specializes in dynamic sales and marketing tools developed exclusibly for the building industry. 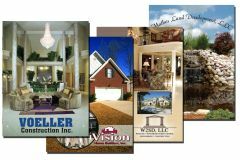 We provide complete marketing support for both residential and commercial builders. Our award-winning designers and marketing strategies are second to none, and our exciting products create top-of-the-mind awareness, leaving long, lasting impressions with your clients. We have a proven track record of enhancing visibility within a targeted marketing area and increasing bottom-line profitability for many builders. Our goal is to help you sell more homes and more valuable upgrades! Since our inception more than six years ago, Creative Concept Group has expanded to multiple locations in Florida alone. Starting out as a small family operation, we are now headquartered in a 30,000-square-foot facility in Oldsmar and have expanded our team of associates to include sales representatives, TV Production Writers, editors and camera operators, copy writers, print editors, graphic artists, multimedia professionals and administrators. 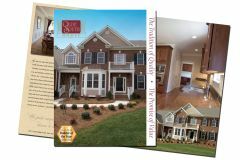 When it comes to serving the marketing needs of the building industry, you need look no further than the team at Creative Concept Group, LLC.